It’s hard to be creative, whenever you think of a “new” idea, someone has probably already thought of it! 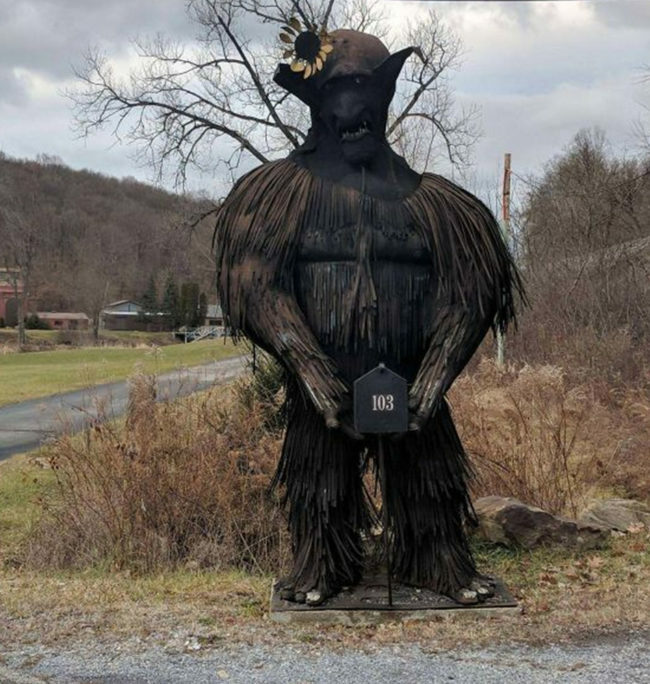 However, these people are clearly very creative and have applied all of their creative power to making the outside of their home look as personal as possible, with a crazy mailbox! This one is great. It’s out of reach and therefore out of mind! I wonder if the postman actually uses them though, he probably just puts that all in the “mail” one which is RUDE. 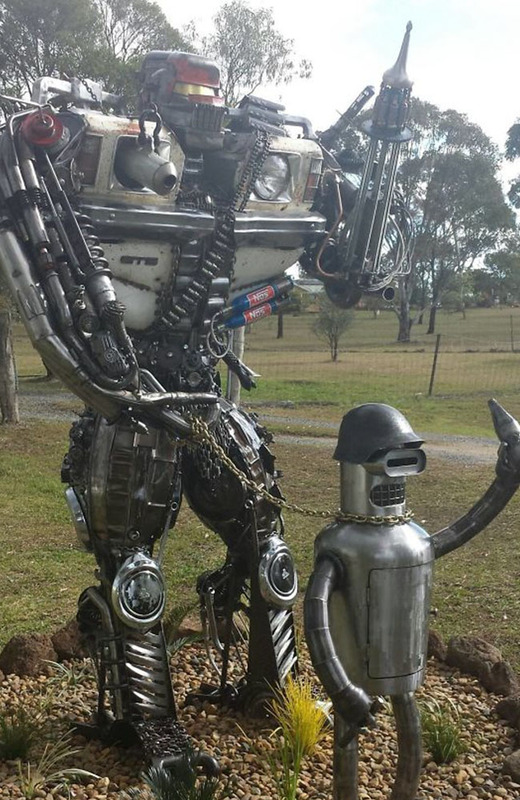 This mailbox is incredibly awesome. 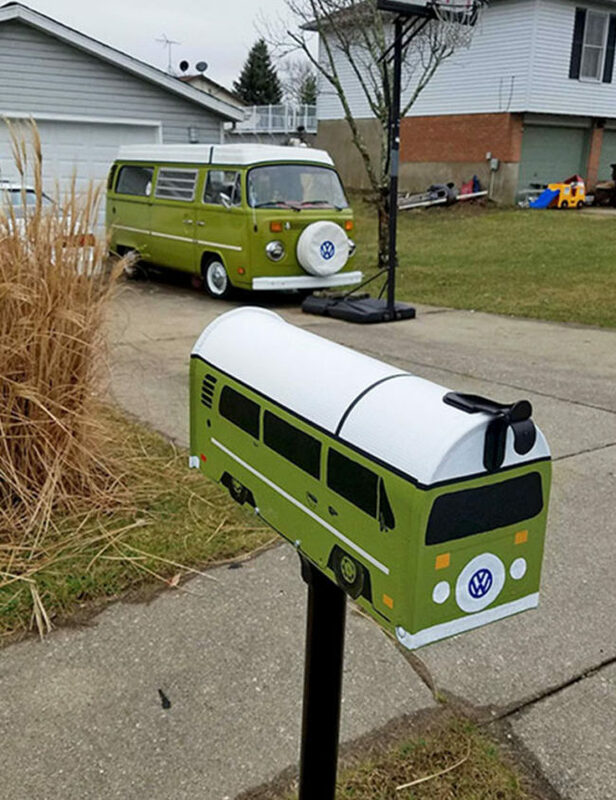 They must really be a fan of their camper van to make a mini mailbox out of it…I like their style! I THINK these guys might be Doctor Who fans? Their mailbox clearly suggests that they are! Not sure why it’s so big though, how much mail do these guys get?! 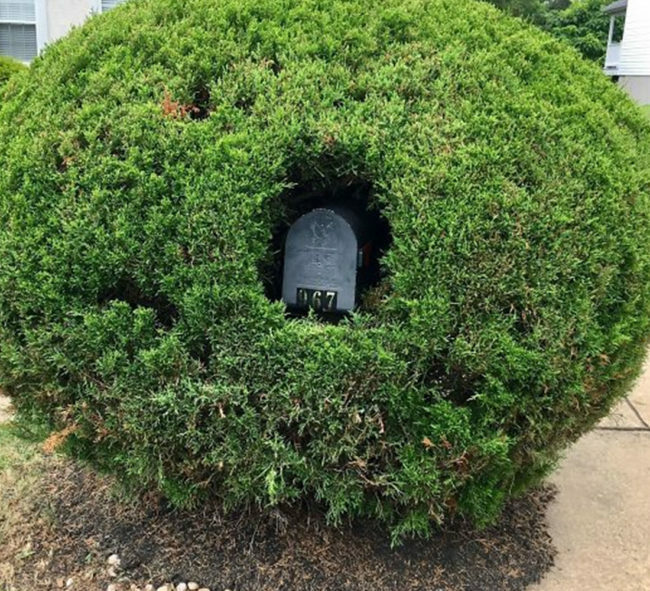 I guess that it’s pretty convenient to make your mailbox a mini version of your house, they will definitely know where to post your mail then! Do you think that this is George R.R. Martin’s actual mailbox? I think that it DEFINITELY is. This one is actually so awesome! 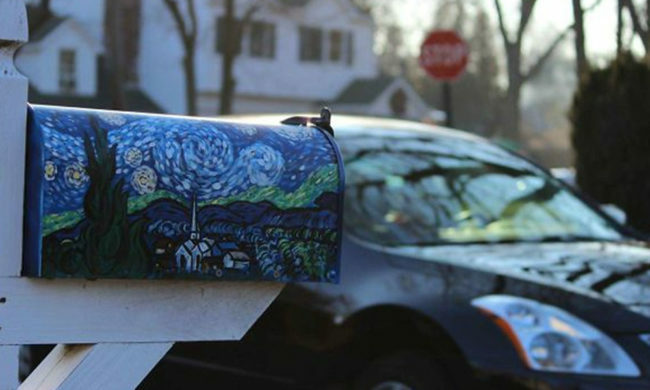 This guy loves art so he puts a different famous piece of art on his mailbox every two weeks. That really is some crazy dedication to the art world. 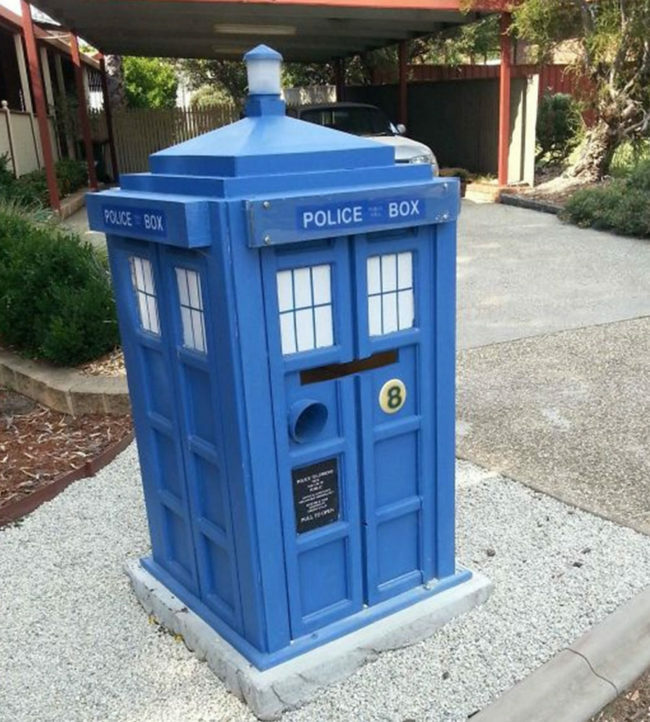 This is the coolest mailbox so far. 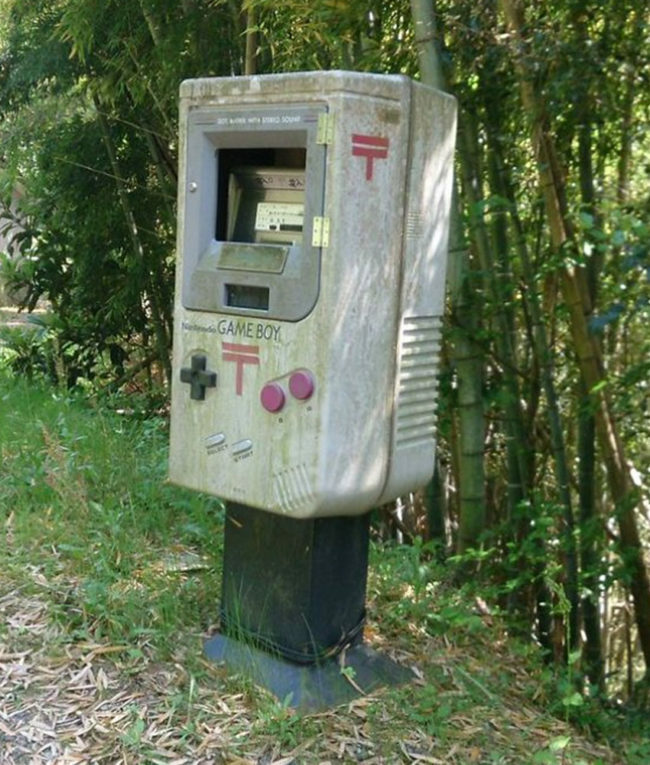 A retro original Game Boy mailbox?! Yes, please. How on Earth did they even make this…I’m very impressed. 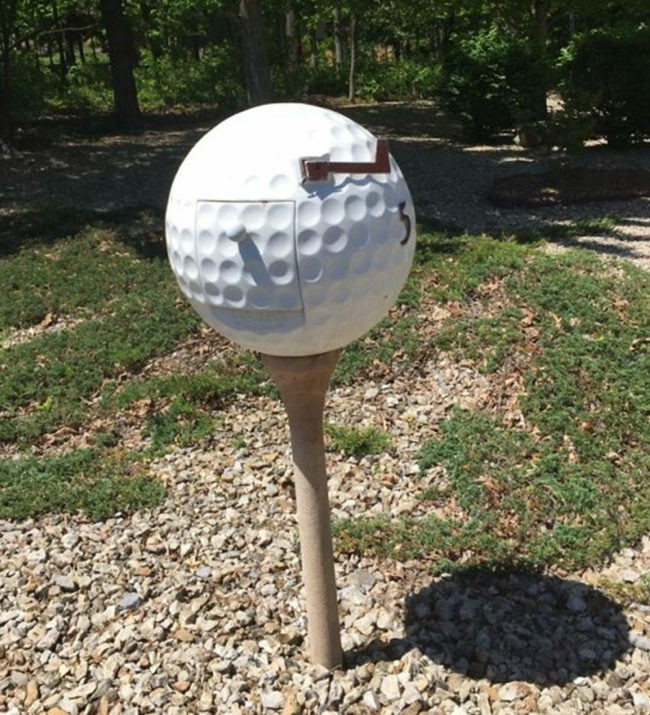 I hope that this guy really loves golf or this is the most random mailbox ever. I mean, it’s a bad influence but it is also so incredibly clever. The fingers do creep me out though…it’s a little odd. 11.) 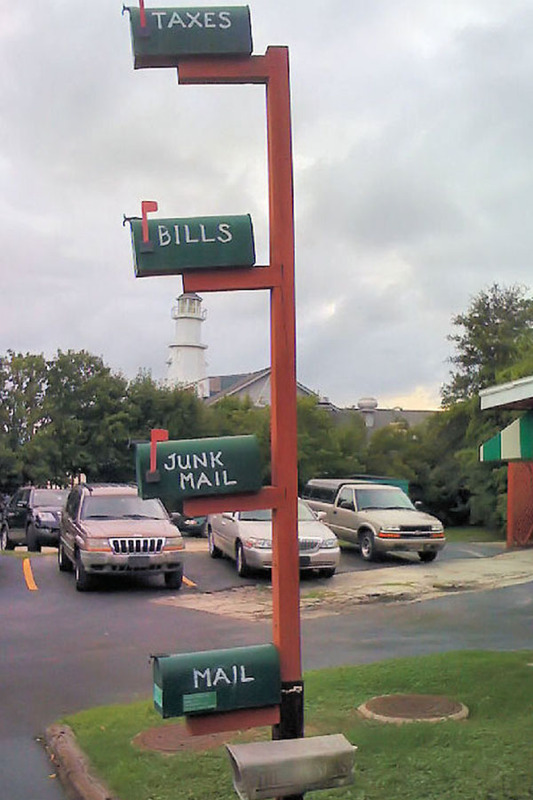 Three mailboxes in one! 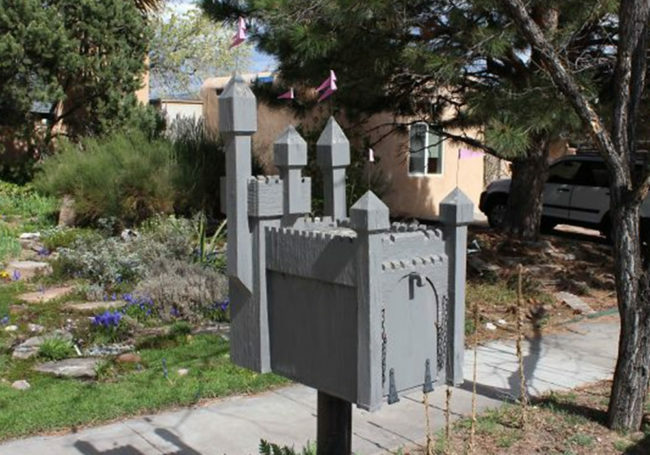 This one is great, I love how three houses have grouped together and agreed to the same wacky mailbox! 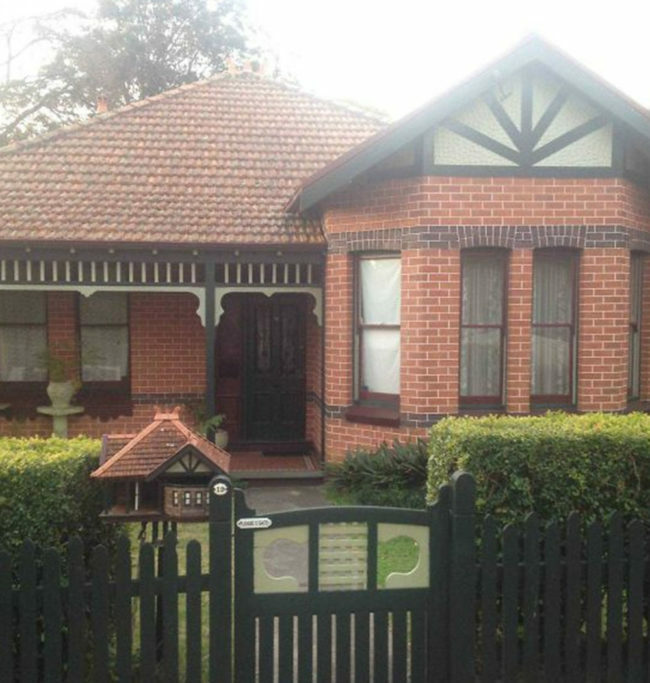 It also fits in with the landscape of the area, very aesthetic, top marks. 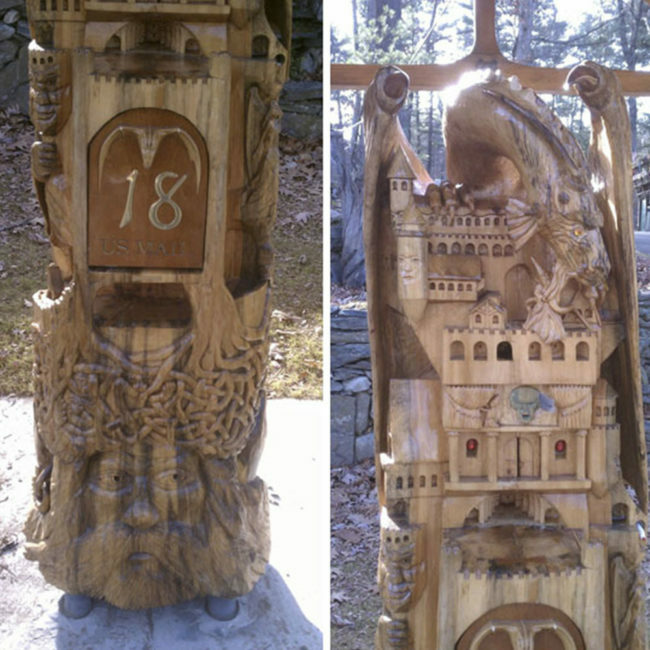 This guy CARVED this amazing mailbox with his BARE HANDS. The amount of detail is simply beautiful and I love it. 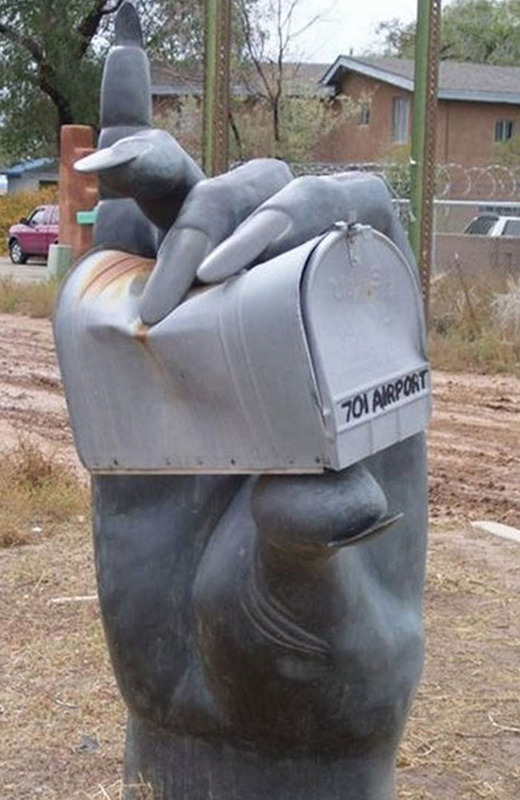 It’s more of a stunning sculpture more than a mailbox. The best mailbox of the year, no one can top this! I relate to this mailbox on a spiritual level, it’s so inconspicuous that you won’t have to deal with bills, taxes and people. It’s great. This one is just disturbing on so many levels. 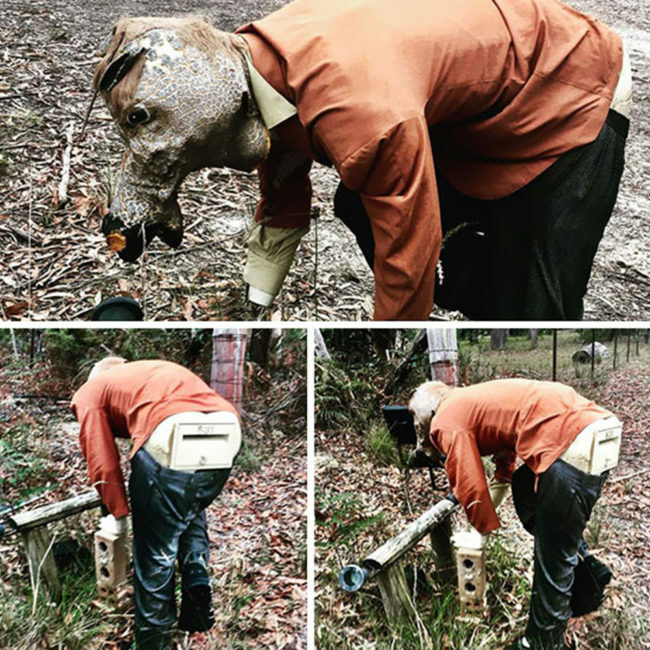 No one wants to put post THERE and why is it a half-horse half-human hybrid?! It makes my skin crawl, it’s a no from me. 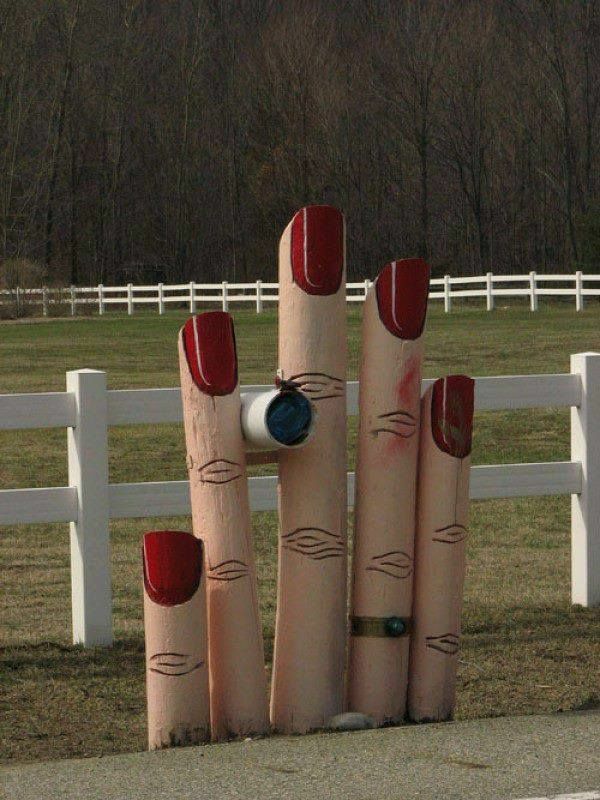 This is the coolest winter mailbox! 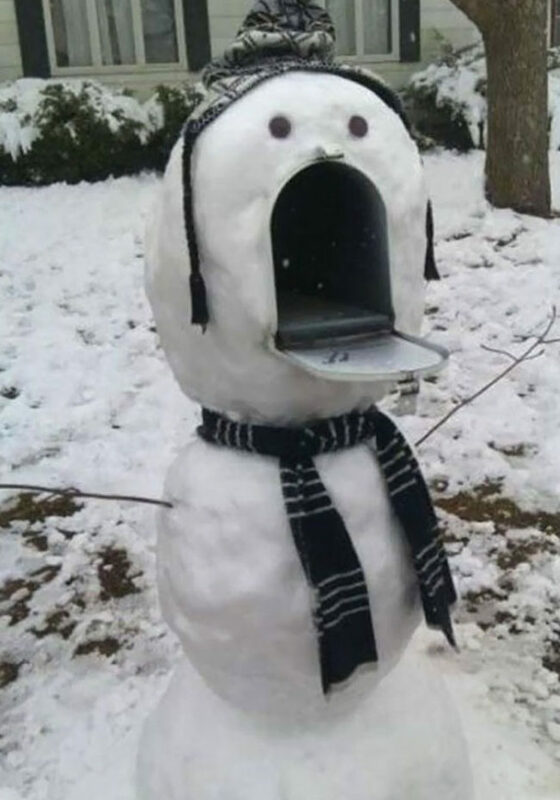 Such a great idea AND the mailbox/post will make great support for the snowman. This family are winning at life. 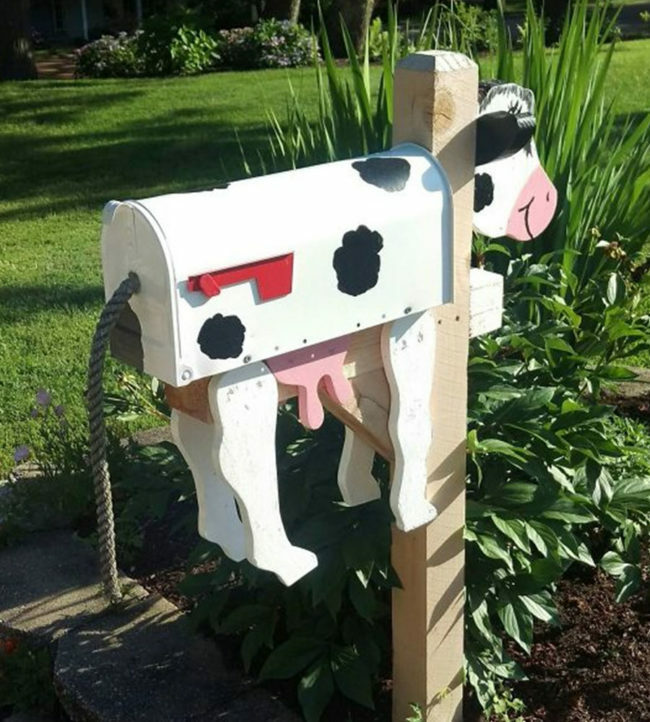 It is a bit intrusive for this poor cow but I love that she is a farmer and this is her mailbox! 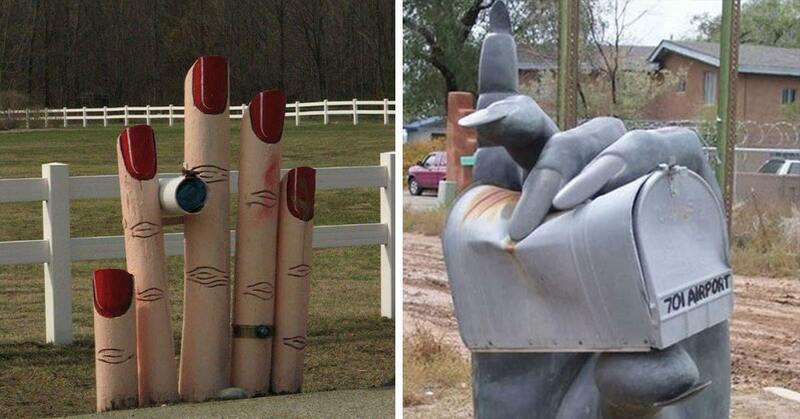 This family’s mailbox was ruined and crushed so they went the extra mile to make it look much better. I mean, some would say this is over-the-top but I think it looks great! 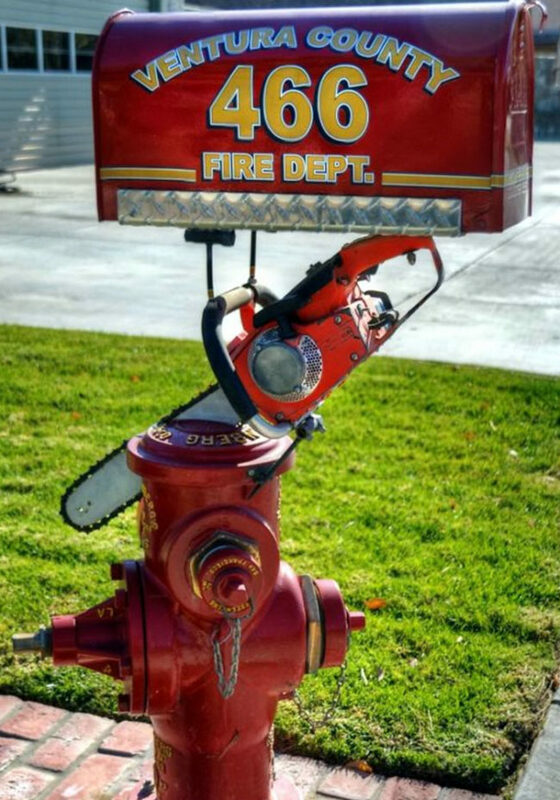 I love that this is someone’s local fire department’s mailbox. It’s just so cool. It looks like a very complicated contraption though, I don’t trust it. 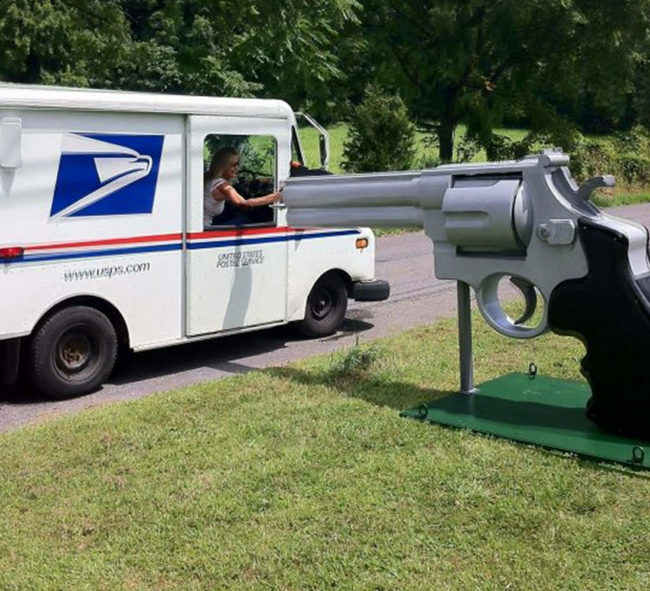 This one makes me nervous, I really wouldn’t fancy putting mail into the barrel of a gun, it’s very intimidating. I wonder how much of their mail goes undelivered? 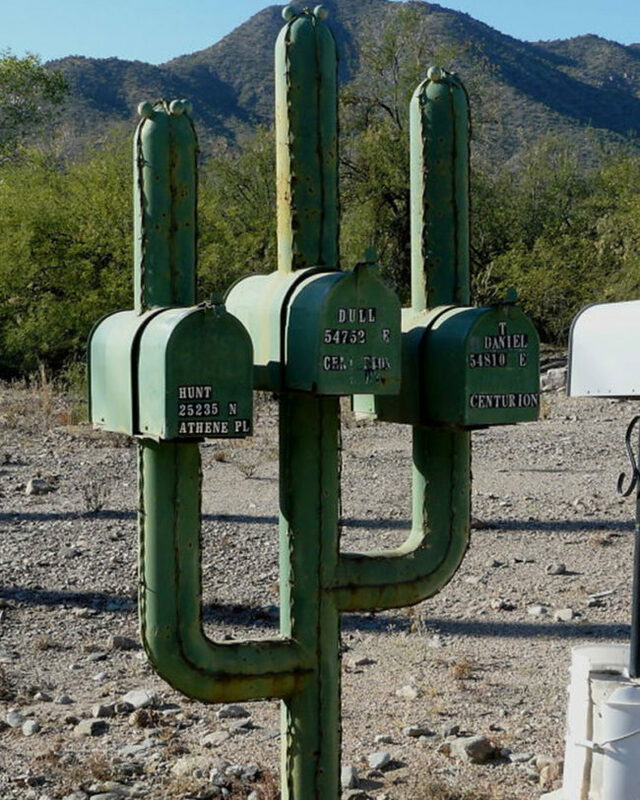 I hope that these mailboxes have inspired you to go crazy and make one of your own. Maybe steer clear from making one look like a scary monster or gun though, that might make people hate you. Which one was your favourite? Let us know in the comments!